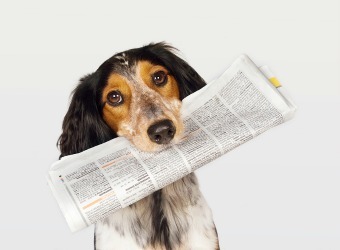 Do you have any weight loss news you would like to share? This is a friendly place where you can leave comments, share stories, pass on helpful weight loss information, ask questions and much more. But does the celebrity Baby Food Diet really work? Check it out. This diet is Hollywood’s latest weight loss trend. Find out why so many people have made this their latest craze. This latest diet trend seems to have caught on with many young girls, but just a warning it is pretty gross and may be offensive to some. This can be a dangerous question as some people may become downright insulted that you even dared to ask. For others it can be considered outright war as opinions are torn in two very different directions. So what should we believe? Eating real honey and avoiding the imitation stuff has plenty of health benefits. Product labels are deceptive so find out what to look for to enjoy a healthier sweetener. Is Garcinia Cambogia Extract a Hoax or a Helper? This product has saturated the internet recently making claims that it can help you lose weight without exercising or changing your diet, but is any of what they claim true? Alcohol and weight loss can be a poor match depending on how many liquid calories you are actually consuming. Here are some quick tipa and guidelines to help you choose. Dr Oz Weight Loss Products - Senators on Capital Hill grill the doctor regarding false advertising on his show. Butter Coffee, also known as Bulletproof coffee, is the latest breakfast sensation and popular weight loss trend, but does it really work? These tips to help keep new years resolutions are familiar, but it's always nice to refresh the memory and boost the enthusiasm to achieve our goals. To achieve weight loss, avoid foods that are refined, made with white flower and have added sugar. Instead, choose healthy carbohydrates by enjoying unrefined plant foods. The big question lately is are the benefits of sea salt greater than the benefits of table salt? There is so much information out there that can be fun to share. Everything from helpful recipes, to juicy new diet trends, surgeries and success stories. Perhaps you would like to have a page dedicated totally to you and your story. We would love to share your story with others. Join in and write your own page. It’s easy with the form provided below. Thanks again for sharing and all our visitors thank you too.